Comedian Ellen DeGeneres is the most admired LGBT+ person in the US, a new Gallup poll has revealed. The daytime television host was the only LGBT+ person to feature in the top ten spots of the yearly rankings of American’s most admired men and women, released by Gallup on Thursday (December 27). The annual survey was conducted between December 3 and 12. It asked Americans, in an open-ended question, to name the man and woman living anywhere in the world today whom they admire most. DeGeneres, the most prominent lesbian on American television, returned to the top 10 after narrowly missing out in 2017 to the Duchess of Cambridge Kate Middleton and superstar Beyoncé Knowles—neither of whom features in the top spots of the most admired women’s ranking. The first place of the most admired women ranking was occupied by former First Lady Michelle Obama, who ended former First Lady and former Secretary of State Hillary Clinton’s 17-year-run at the top. Clinton ended up in third place this year, behind Oprah Winfrey and one spot ahead of current First Lady Melania Trump. The most admired men ranking continues to see former President Barack Obama at the top, now for the 11th year in a row. 2018 was a milestone year for DeGeneres. The comedian returned to stand-up comedy for the first time in 15 years, releasing the critically acclaimed show Relatable on Netflix this month. She also marked her first decade of marriage to her wife Portia de Rossi, as well as celebrating 15 years since they started dating. DeGeneres also turned 60 this year, and is beginning to consider whether it’s time to end her hugely popular daytime show The Ellen Show, as she told The New York Times earlier this month. 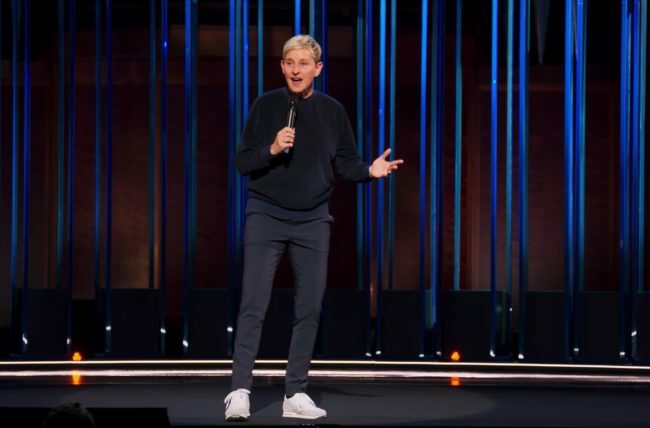 Ellen DeGeneres performs her first stand-up special in 15 years. Her contract for The Ellen Show, which has been airing since 2003, was recently extended until summer of 2020. 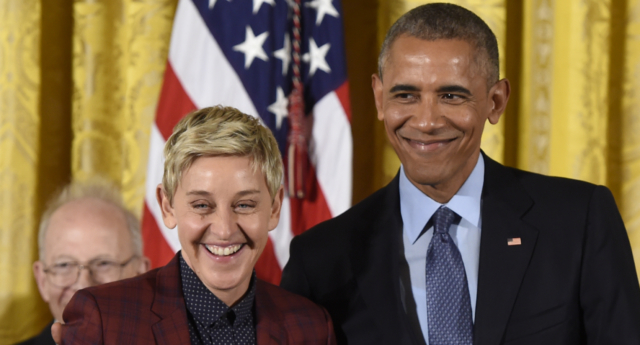 DeGeneres, who received a Presidential Medal of Freedom from Barack Obama in 2016, said she kept going back and forth on the decision. Her wife would like her to tackle new things, while her brother Vance DeGeneres thinks that, in the age of President Donald Trump, her positive, unifying voice is just what the country needs.